Ask a Walmart Expert: Will Walmart Take Target Coupons? 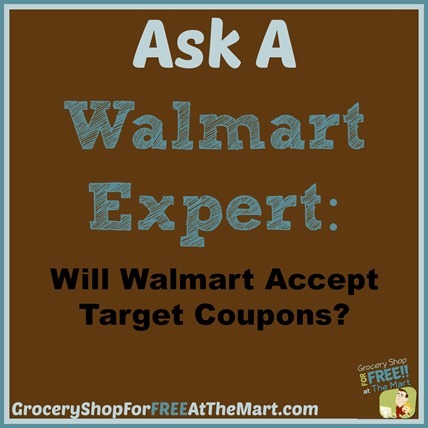 Will Walmart take Target Coupons? Short Answer? Not if they are Target Store coupons. 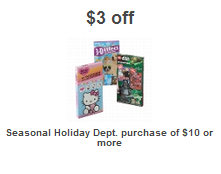 If you go to the Target Website, they have a page of coupons you can print. The coupons are a mix of manufacturer’s coupons and Target store coupons. This is where it gets a little confusing because Walmart will take the manufacturer’s coupons but there is no easy way to tell just by looking at them which are manu Qs and which are Target Qs. 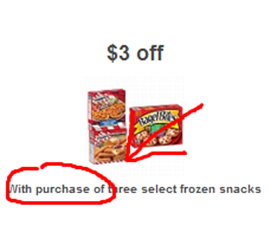 One way to tell the difference is just to print them (Or print preview them if your browser/printer supports this) and read the top of the coupon but there is a way to tell on the coupon page itself which are which. Look at the language under the coupons. 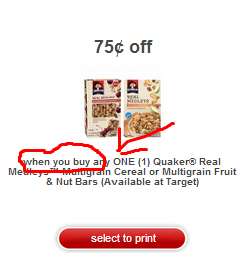 Manufacturer’s coupons always include the phrase “when you buy” like this. You can print any of these coupons that start with the phrase “When you buy” and expect to be able to use them at Walmart. 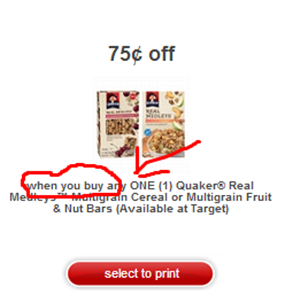 Target coupons say “with purchase of” or have no phrase at the beginning of the text. Here are a few examples. This one says “With purchase of”. It is a Target coupon and CANNOT be used at Walmart. This one has no special language at the beginning and CANNOT be used at Walmart. One other little tidbit is if for some reason you find a Target Q with a final price listed, i.e. Get Quaker Oatmeal 42oz 2/$4, Walmart WILL take that as it is just a price match. In fact, you can then use another coupon on top of it.